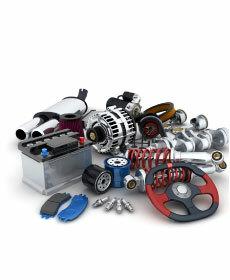 Click here to view our online parts catalog. Our Audi Parts and Accessories Specials are updated on a regular basis and reflect huge savings for you, when looking for your genuine Audi parts and OEM accessories. With the original Audi Marietta Parts Specials you assure to keep your Audi vehicle running strong for years to come. Want to make sure the desired Audi accessory or part is in stock, don't hesitate to contact our helpful staff first, by simply calling 1-888-486-4825 - we are serving the entire Metro Atlanta area. Add flair to your Audi with our complete selection of front and rear spoilers, special wheels and much more. And now, for a limited time, use this offer to save on installation. Discount includes color-match painting where applicable. View our Online store here and order your parts and accessories and have them shipped to your home.